Popdose’s March Madness: ’80s Sitcom Edition tournament enters the Elite Eight round! 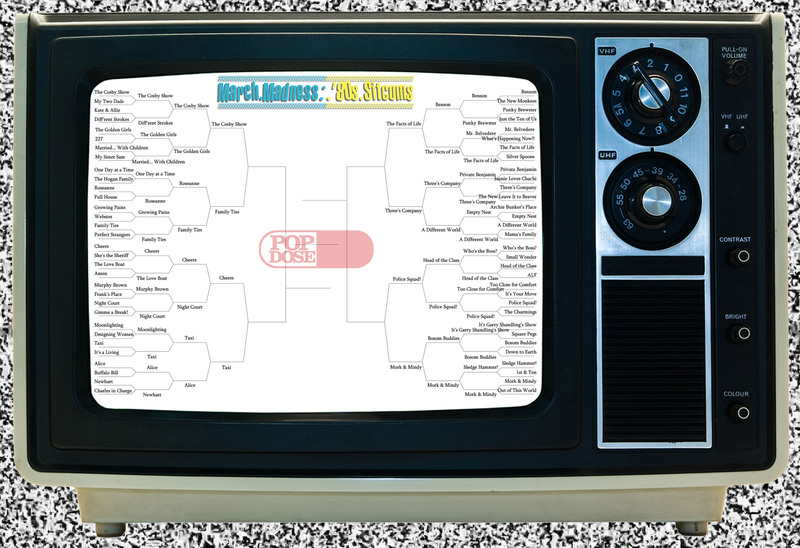 If there’s one thing we at Popdose love more than 1980s sitcoms it’s March Madness. Actually that’s not true at all, but we do love ’80s sitcoms. Some of them at any rate. But since America seems to love tournaments in bracket form, we’re running one of our own this year. To make things even more fun and exciting we’re leaving it to you, our loyal readers, to determine which shows win and which get canceled! It’s Elite Eight time! If you thought you had hard choices to make in the last round, you ain’t seen nothing yet. And to those who have wondered aloud how the seedings and brackets were decided upon, it’s really quite simple. We canvassed all of our Hollywood contacts and solicited bribes and kickbacks wherever possible. More moolah equals more favorable placement. It’s the American way! If you need a recap of the rules or the selection process, click here. For the full-size bracket, click here. Let’s get to it! Polls will close on March 30th at 12pm Popdose Standard Time, and voting for the Final Four round gets underway on Monday, April 1st. Elite Eight: (2) Mork & Mindy vs. (4) Police Squad!